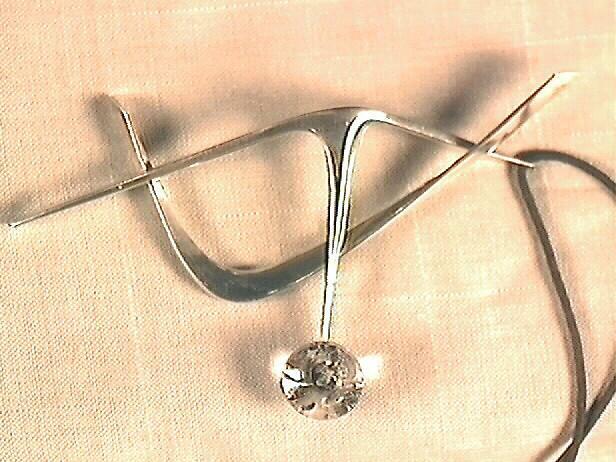 Sterling silver and rutilated quartz pendant. The pendant has a modern geometric form with a three-pronged silver element placed over a curved silver element. 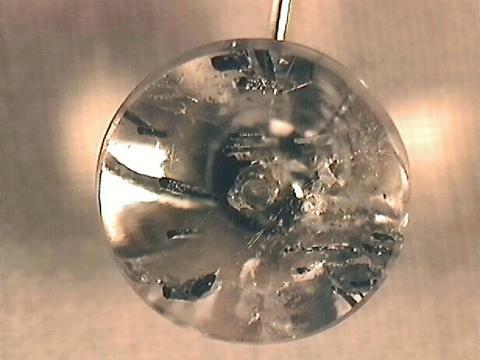 A circular flat-top quartz stone is set on the end of the horizontal center prong. The pendant hangs from a woven cord with a sterling silver clasp.